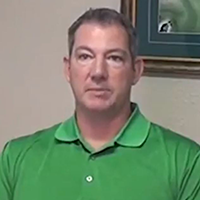 James Foster, Travel Resort Services, Inc. (Broker Associate) describes how ResortsandLodges.com’s Distribution, Digital Marketing and Technology Solutions have improved their business. "TRACK improved our online booking engine. Our online bookings have improved dramatically over the previous software we were using. It just wasn’t up to speed and that was a big part of our transition to TRACK." - James Foster,Broker Associate, Travel Resort Services, Inc.